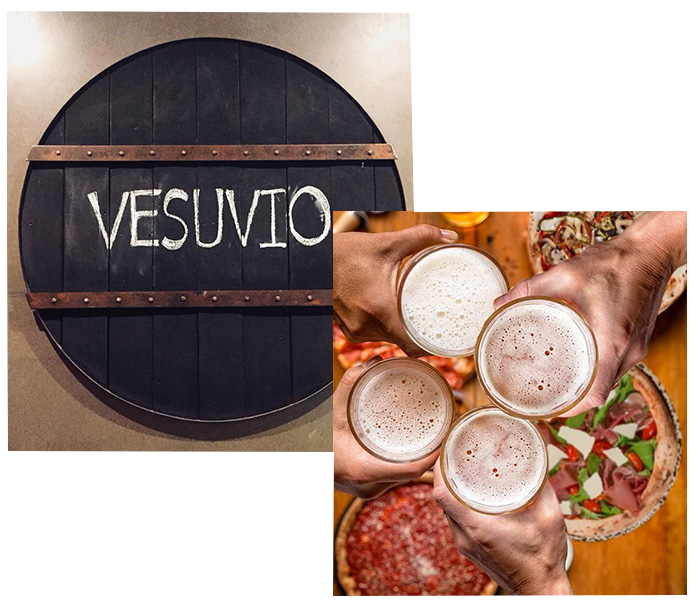 Vesuvio is not a restaurant, it is a piece of italy tucked away in a vibrant part of Thailand. Everything is original here, the food and the people. 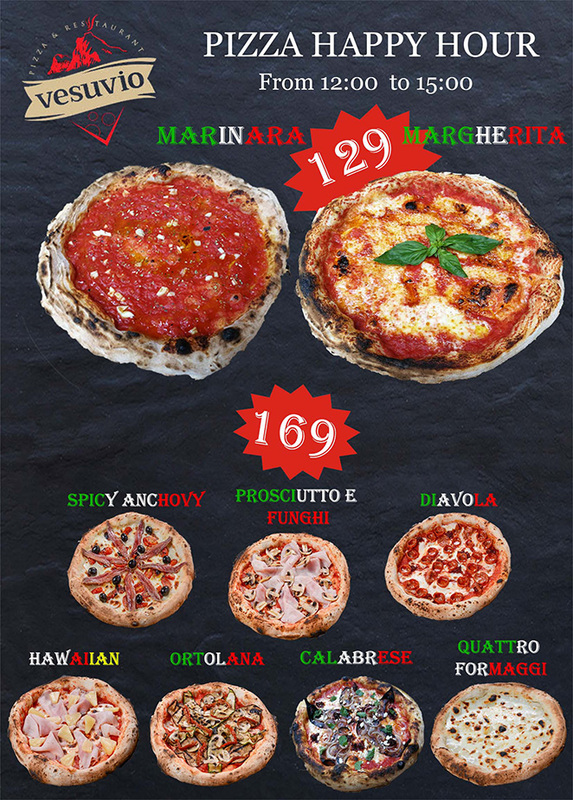 Our pizza is made with the same tender loving care that Italy is well known for, similar to the incredible venues that you would find in the typical alley in a forsaken town in Naples, where you can still smell, feel,taste and appreciate true Italian history. Tomato Sauce, Mozzarella, Spicy Salami, Nduja. San Daniele (24 months), Rocket, Cherry Tomato. Basil, Extra Virgin, Olive Oil. Peperoncino con Tonno (Tuna Pepper). What we sell here is not just pizza, it is an experience. Allow yourself to be teleported to Italy for a moment in time where we will be your host. 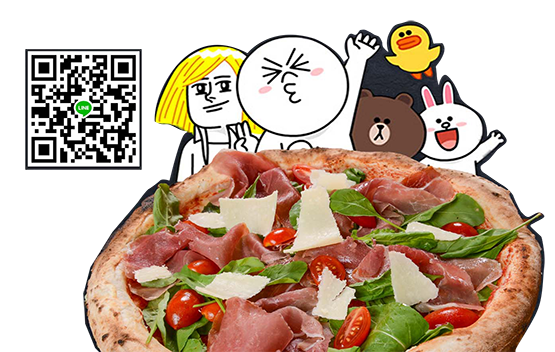 Happy Hour from 12.00 – 15.00 Pizza start at 129 THB !! Life is a combination of magic and pizza !